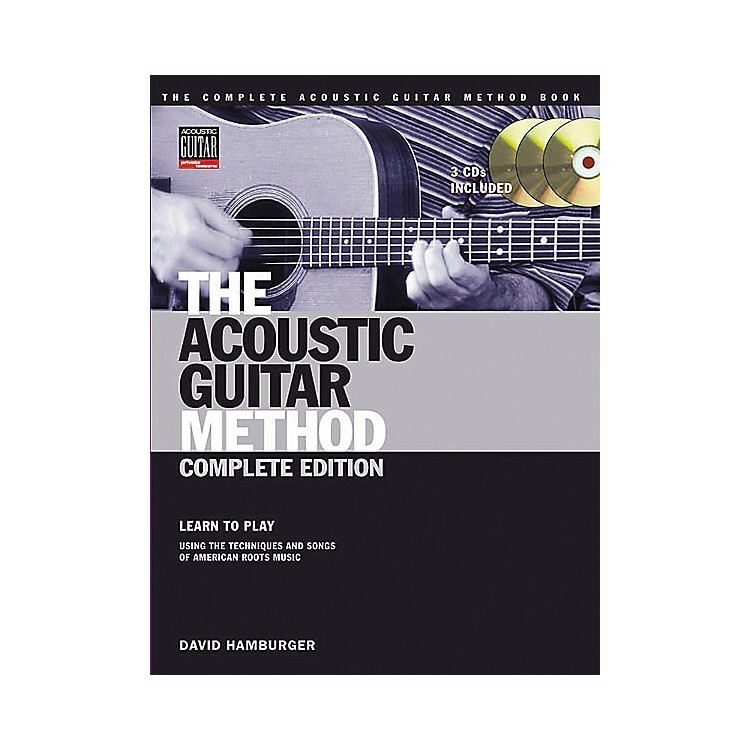 A complete collection of all 3 Acoustic Guitar Method books and access to audio downloads in one volume. Learn how to play guitar with the only beginning method based on traditional American music that teaches you authentic techniques and songs. Beginning with a few basic chords and strums, you'll start right in learning real music drawn from blues, folk, country, and bluegrass traditions on your acoustic guitar. You'll learn how to find notes on the fingerboard, expand your collection of guitar chords by learning songs in various keys, and learn different kinds of picking patterns. When you're done with the Acoustic Guitar Method, you'll know dozens of the tunes that form the backbone of American music, using a variety of flatpicking and fingerpicking techniques. Guitar tab. 136 pages. Songs include: Bury Me Beneath the Willow • Delia • Frankie and Johnny • The Girl I Left Behind Me • House of the Rising Sun • Ida Red • In the Pines • Little Sadie • Man of Constant Sorrow • Sally Goodin • Scarborough Fair • Will the Circle Be Unbroken? • and many more. Accompanying audio examples are all available for download. Get the whole course in one handy book. Order today.